Visual Stress is the experience of visual discomfort caused by a strong visual contrast such as black text on white paper. 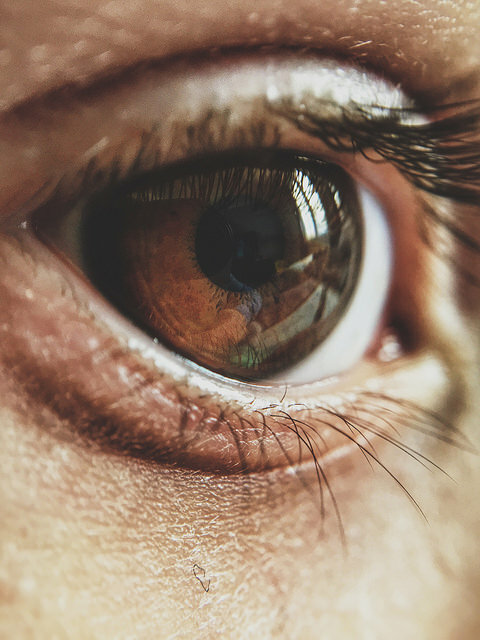 Visual stress can makes it difficult to read for any length of time. When reading black text on white paper the letters may move around, blur, the white paper may produce glare or a strobing effect. Visual Stress may also be referred to as Meares-Irlen Syndrome, Scotopic Sensitivity, Word crowding and Irlen Syndrome. 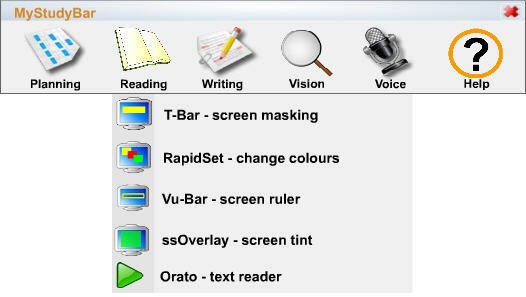 Texthelp Read and Write software includes a feature known as ‘screen masking’, a virtual coloured overlay to help reduce symptoms associated with visual stress when working on a computer. A virtual reading ruler is also available within the screen masking feature and can be set to either a line underneath your mouse cursor, or a window which blocks off everything on the screen outside the size window you have set. F.lux makes the colour of your computer’s display adapt to the time of day, warm at night and like sunlight during the day. It can be downloaded for free from the F.lux website. Paragrasp is a Firefox internet browser extension which adds a coloured highlight to the paragraph you’re reading, with a keystroke it moves to the next paragraph. It can be downloaded for free from the Mozilla website. Skim – is a PDF reader and notetaker for Mac. It has a reading ruler feature which is designed to help you read and annotate papers in PDF format. It can be downloaded for free from the Sourceforge website. My Study Bar can be downloaded for free from the JISC website. Once downloaded it can be run on multiple computers from a USB drive or installed directly onto your computer. Step by step guides for each feature are available at the bottom of the My Study Bar webpage.